"I had a dream / That I fucked a married man / Looked his wife in the eyes / Like she wasn't even human / Then I told her to prove it." Talk about making a big first impression — those harsh, unflattering words come in Strange Prison's opening track "Blow Away." Elsewhere, Astral Swans (aka Calgary songwriter Matthew Swann) admits to being an online troll on "What Are You Going to Do with Yourself" and calls someone a "loser from the start" on "Prison Builder." With lyrics like this, Swann could easily come across like a real jerk, but his soft deadpan delivery means that even his harshest lines come across as self-critical glimpses into his own flawed character, rather than displays of bravado. 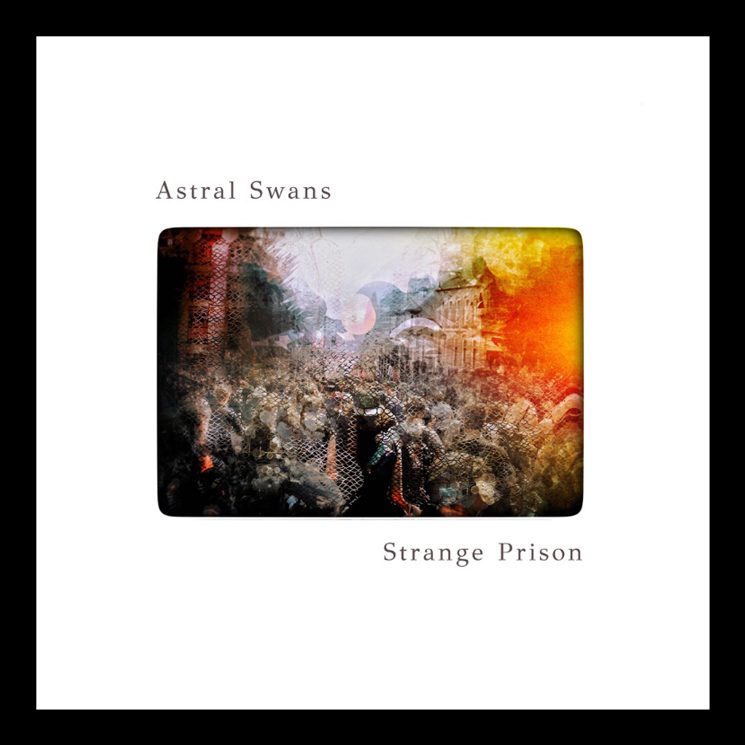 There's nothing flashy about Strange Prison, which is made up almost entirely of slow-paced avant-folk songs with minimal instrumentation: the arrangements consist of a basic setup of bass, drums and strumming guitar, augmented by the odd synth here and a splash of reverb-drenched harmonies there. The overall sound is fairly similar to Swann's past work (as Astral Swans, and in prior project Extra Happy Ghost!!! ), although the performances are a little tighter and more polished. Every song on the record is bleak in a pretty sort of way: the title cut is kissed with harmonies and features a quietly dramatic marching beat; "Controls" is anchored by a blearily swaggering soul bass line; and the uncharacteristically brisk "General Rule" offers a promising glimpse into what Astral Swans might sound like as a post-punk band.